Apartment in Palermo Soho, Buenos Aires - Fabuloft ! Spacious 1615 square feet duplex loft with impressive private rooftop deck with BBQ - Great views from the city day and night! 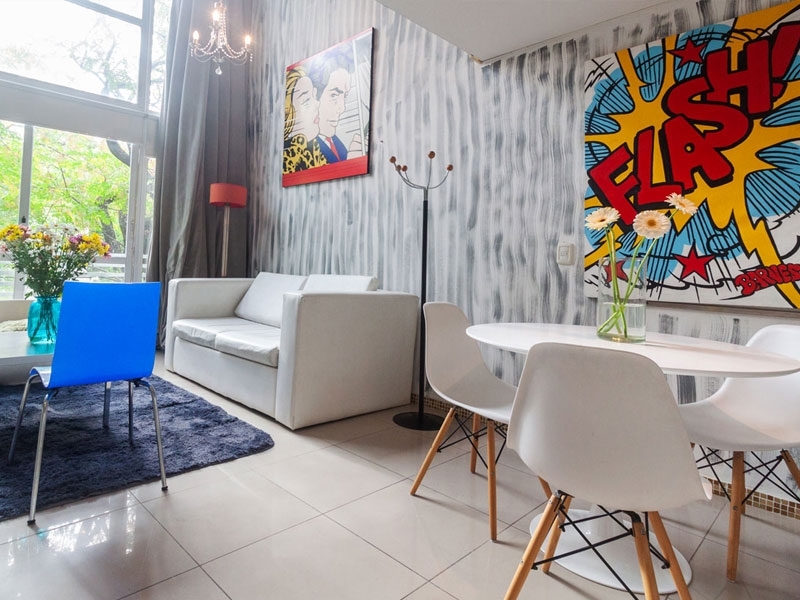 This great loft apartment for rent in Buenos Aires is located in the heart of Palermo Soho in a newly built block, and close to restaurants, bars and boutique shops. With over 50 square meters of indoor space, this loft was recently fully renovated and furnished in style. Set on the third and last floor of the apartment complex, the loft is spread over two levels. On the first floor you will find the kitchen, plenty of comfortable seating space, a dining table for 6, and comes equipped with a 32’’ smart TV with Cable. The sleeping area features a king size bed and full bathroom. This loft is both airy and bright, with floor to ceiling windows that open up to the quiet street below. The loft has a nordic feel to it and compliments the industrial spirit, with its concrete floors and ceilings and black iron railings. Going up the open concrete staircase is where you will find the terrace. Impressive to say the least, it almost doubles the size of the loft, and comes equipped with both loungers and dining table and chairs, and features a barbeque to show off your grilling skills. Enjoy the views from your very own private deck, both day and night. The building also features a pool and garden on the ground floor.